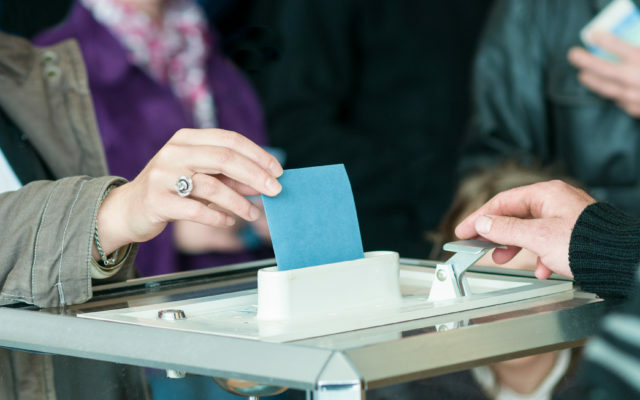 Woodland residents cast their ballots on Monday, March 18, electing Will Barnum to the town’s board of selectmen for a three year term and Robert Butler to the school board for a three year term, according to the town office’s unofficial election results. WOODLAND, Maine — Woodland residents cast their ballots on Monday, March 18, electing Will Barnum to the town’s board of selectmen for a three year term and Robert Butler to the school board for a three year term, according to the town office’s unofficial election results. For selectmen, a total of 76 voters chose Barnum while 19 voted for his opponent Collin Patterson. Write-ins included Lance Albair, Thomas Drew, Mike Wilcox, Travis Prashaw, Steven Marr, and Sherri Parker. A total of 55 residents voted for Butler to join the school board while 39 wrote in Sherri Parker. Other write-ins included Peggy Deveau, Peter McCorrison, and Mary Powers. Results are to be made official during Woodland’s annual town meeting, which starts at 7 p.m. on March 19.